Picked Terry up in Bicester off the X5 bus from Cambridge and headed for All Cannings. 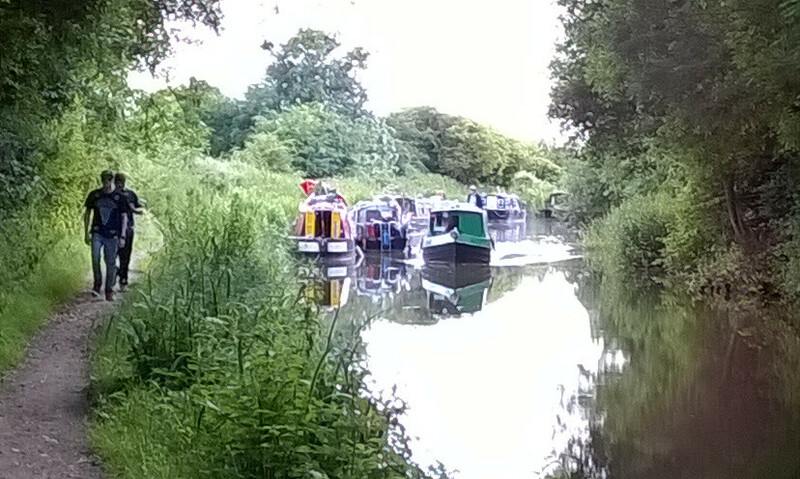 Quickly on the move but no moorings near Honey Street where we had left the car so on to Wooton Rivers for the night. Beer at the Royal Oak. No moorings to be had at Honey Street. 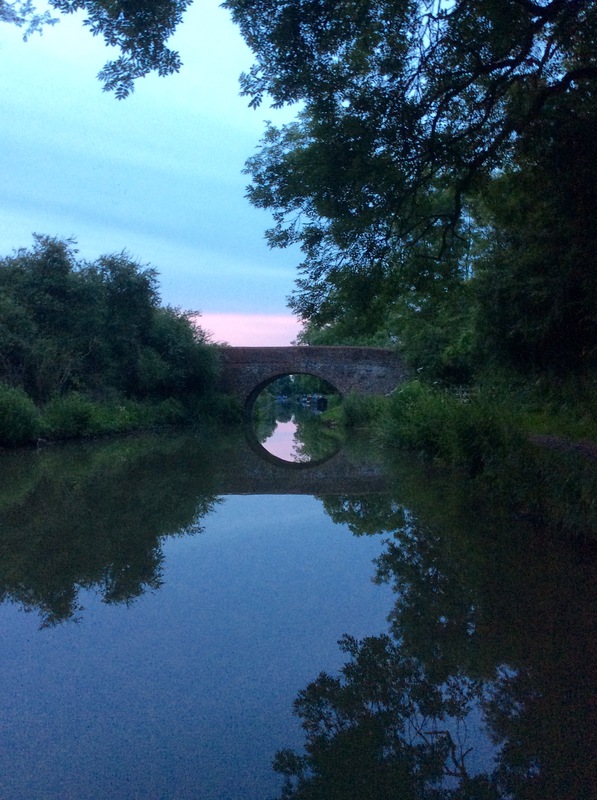 Next day, Margaret joined us at Crofton and we carried on to Great Bedwyn. A good place to moor both boat and car by Bridge 97 just above Church Lock. Beer at the Cross Keys. Heading out for the pub. Bridge 97 looking East as the sun sets in the West. Next day we moved down to Froxfield and were able to tie up to the Armco shuttering between locks 69 and 70. Margaret and Terry headed for home and I headed to Great Bedwyn by tow path to recover my car and made it just in time to buy a nice sough dough loaf and replenish my cash supply at the ATM in the Post Office and shop. The shop is excellent and one of the few places where provisions can be obtained near to the canal around here. Then off in search of beer, with my bulging wallet, but found the Cross Keys completely empty of customers and landlords so headed up to the other Great Bedwyn pub, the Three Tuns. Turned into their [steep]car park [I wasn't drunk YET] and hit the bottom of the car on the cill, very deceptive as the concrete was covered with a layer of loose gravel. Went round to the front door of the pub which was locked, barred and bolted so headed off to the Pelican between [glorious] Hungerford and Froxton. Very pleased to see that their Doom Bar was 'not quite ready yet', if ever! Not sure that the twang back at the Three Tuns has been a good thing for the car as the steering is even more random than usual.